We were chatting to Natasha Lomas from TechCrunch (no relation to our own Pete) last week about the distribution of Raspberry Pis across the world. Here’s the article she wrote about it. We designed the Pi with the explicit goal of getting kids in the UK coding, but the popularity of the platform has spread well beyond that in the year it’s been on sale, which means we have a job ahead of us. Currently the vast majority of the 1.2 million Pis in the wild are in the developed world, but we recognise that there’s demand in the developing world and will be taking someone on full-time to deal with the work required to get more Pis out to less connected areas very soon. There are some significant problems associated with getting the Pi on general sale in some locations, not least the enormous shipping and import tariffs that many countries impose on electronics imports – a Pi will cost you $85 in Brazil, for example, thanks to those tariffs. It’s a big job, but we’re looking forward to getting our teeth into it. 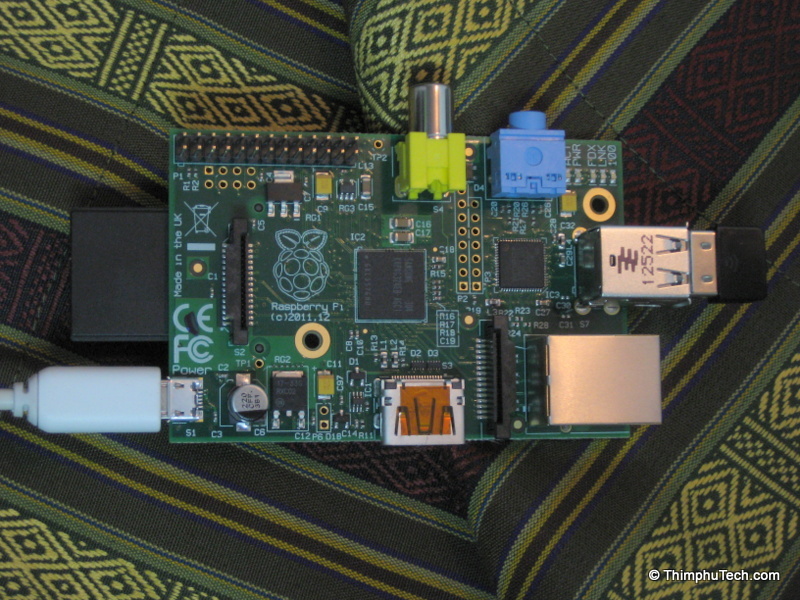 But Pis are gradually finding their way to all kinds of far-away places, and I saw some tweets a week or so ago from ThimpuTech, who had got their hands on the Kingdom of Bhutan’s first Raspberry Pi. And now, we’ve found out what’s being done with it – it’s been made into a server for Khan Academy Lite, serving up educational content to a local school. 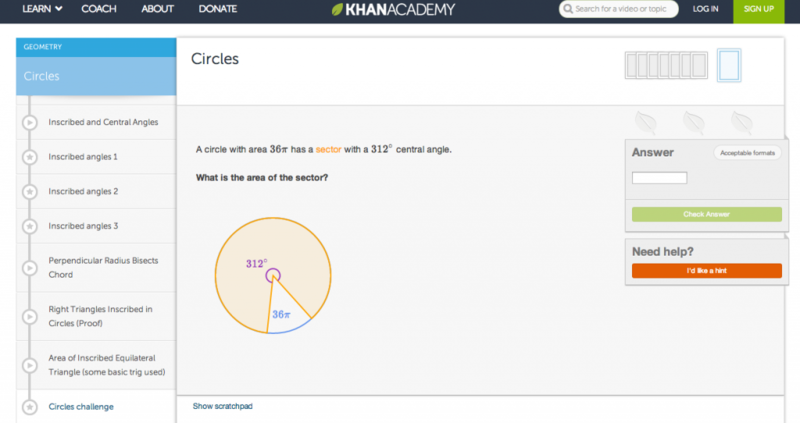 Khan Academy Lite is an offline version of Khan Academy‘s superb curriculum of free learning materials; if you haven’t come across Khan Academy before, head over and have a poke around their website when you’ve finished reading this. You’ll be impressed. With the Pi, a 64GB SD card to put all the learning materials on (which actually costs about twice what the Pi you’ll need to run it on does) and a wi-fi dongle, you’ve got a way to bring the MP4 lectures that make up the core of Khan Academy’s material to areas with no internet. Bhutan’s an interesting place to be doing this sort of thing; the internet didn’t come to the country until 1999, and coverage is still very minimal, so an offline solution is vital. What this means is that for an investment of about $99 ($35 for the Pi, $50 for the SD card, $5 for a dongle and another few dollars or so for a box and power supply), schools in Bhutan and all over the world can access world-class learning without needing to be online. We’re really pleased to see the very first Pi in the country being used explicitly to bring educational resources to kids; we’ve been extremely excited about the potential of Khan Academy Lite for a while now, and it’s great to see it in formal use by schools. We hope to hear some more from ThimpuTech soon. I’d really like to see a program set up where we can donate a RPi to a school like this, and maybe get some reports from the school we donated it to about what the kids are learning. I would imagine we could donate maybe a couple of hundred dollars or so for the Pi, and the various required bits of hardware? Which is the best response for things like this? +1 Or Me too. .??? I know, it is on your list of things to do. Michael Palin did a documentary around the Pacific and I believe one episode included Bhutan. The challenge of just staying fed, clothed, and sheltered in an area that basically consists of numerous huge, more-up-than-down slopes en route 22,000-plus foot mountain peaks and adjacent valleys must be tough enough. Trying to provide broadly-accessible electronic network connectivity of any kind may only be possible via satellite over the long term, and even then only on the South sides of peaks/ridges where equatorial satellites are in view. This is a brilliant alternative, and I can visualize a “Sneakernet” network of SD cards constantly streaming between remote outposts bringing the world to not just children, but much of the population. The article says Rastrack is unavailable. Bhutan is a wonderful country. We went there on holiday a few years back and found the place, the people and… well [insert anything here] wonderful. Highly recommended, and about the only place I reckon you can get proper roast potatoes cooked on a single stove 3.6km up a mountain. What impressed us most was the outlook of the people: with TV and the internet having both been available now for a few years (yes… you read that in the same sentence “TV…a few years”) there is an absolute hunger and desire to learn more about the world at large. Projects like this that put resources into the reach of people are absolutely to be commended. Nice one.